Foreword: Sorry guys for delaying this post. I swear I have written it three or four times and by the time I am done, it more closely resembles a novel than an article. For this reason I have chosen to break it up into four mini posts, one for each piece of equipment. If you have ever looked up any kind of backpacking article on gear selection I guarantee you have come across a common phrase, 'the big three'. There is a reason it's so popular, and that's because the selection of these key pieces of equipment will determine the weight, volume, cost and versatility of your backpacking setup. It is quite literally the cornerstone of your gear, and if you do it smart, you will save lots of time and money. So let's dive in. The big three is actually the four largest and most important pieces of gear. You cannot backpack without these, because without these you are really just practicing your survival skills. 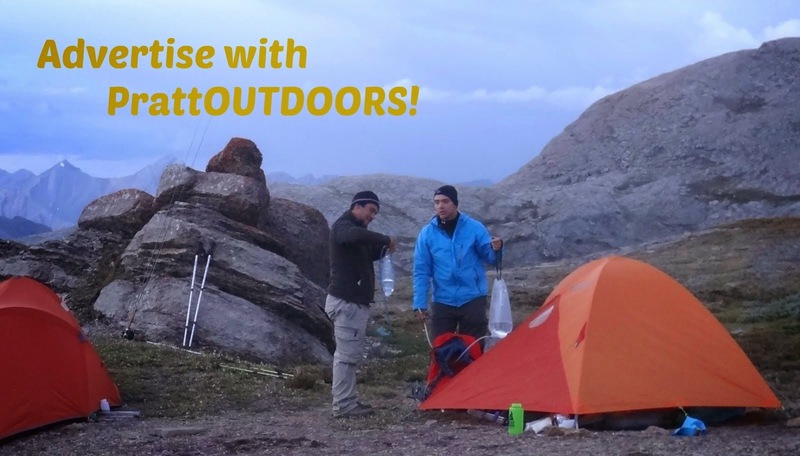 This includes your backpack, tent (or other shelter), sleeping bag and sleeping pad. If you make good decisions when purchasing these items, you will be about 3-5 years ahead of me when I started backpacking so listen close! This is one of the most important pieces of gear in your pack. I consider it second in importance only to my rain jacket (ok, fine it might be tied with shelter for second, but that isn't the point). The sleeping bag isn't just a portable comfort cocoon you rest in, but a pivotal piece of safety gear. Staying warm is key, and if things go wrong weather wise, you can find yourself relying on this bag much more heavily that you anticipated. I find you can make shelter rather easily from your surroundings but warm comfortable sleeping can prove rather difficult at times. A quick story. Michele lakes 2014. We are coming up on the last bit of climb before we crest and descend into the lakes. Trees are far behind us, just pure exposure. We've been hiking for what seems like forever on loose rock and we are tired and run down. We look up and the weather is turning. First it's just foggy, then it starts to rain. At 8000ft, my hands were so cold I couldn't hold my trekking poles. Then it starts to snow and we keep moving just to stay warm. No one is talking anymore, we just start trekking to try to find a spot to setup camp. We finally find a location and we are all FREEZING! We try to set up our tents and my hands are so cold they aren't working. I can't grab anything. I start to panic a little bit and get frustrated. I have stopped shivering at this point and I am starting to get concerned. One guy says, "we need to build a fire and get warm"... With what? There are no trees, no wood, and nothing dry at this elevation to burn. So I pipe up, "get these tents up, strip out of these wet clothes and get into our bags!" We hustle and get it done. Half hour later we are warm enough to start joking around again, and we have something warm to eat and warm up with our camp stoves. Close call, good thing we had our bags, and decent bags at that. So let's get to it! This is The first piece of gear you should purchase. You need to know how tall you are, and what kind of weather you will be encountering. Our nights in the Rockies are usually anywhere from +10C to -10C for reasonable three season camping. My first choice was a -5C to -7C bag, and I was always comfortable. I now take a 0C bag and supplement it on cold night with some thermal clothing. This allows me to save weight and volume, and get more use out of my clothing. Remember, you can always make a bag warmer by wearing some warm clothes and a toque to bed! Mummy bag or barrel bag? Easy, mummy bag all the way. The mummy bags are shaped to fit tighter saving weight and volume. Sure they aren't as spacious but are you a wussy pants city slicker or an ultralight backpacker? Get a mummy bag. The last major concern is down vs synthetic. Many people argue that down is dangerous because if it gets wet it loses its insulation properties. Although this comment is rooted in truth, people fail to realize down bags are coming with better water resistant shells, and if you are really concerned get a water proof stuff sack to keep it in. In other words BUY A DOWN BAG. Yes, synthetics are getting lighter and more space aged every year, but at the end of the day it doesn't pack down as small and isn't as light. If you want to get you pack under twenty five or thirty pounds don't even consider synthetic. It will kill you in volume alone! Get a sleeping bag that is at least sub 2 lbs, and the smallest packed volume available. Be willing to spend as much as you can afford. If you are cheap/short of funds like me, be prepared to make an exception in this case... You can always ask Santa for an exact make and model. Products for men such as MEC's Talon or Aquila bags OR the north face gold kazoo are excellent candidates. If money is no option, go with Western Mountaineering bags (expensive but great quality, super light and compact). Just don't cheap out. This isn't just a bag but a piece of safety gear. When I get cold and wet, I strip down and slide into my bag for safety and warmth. So to recap; buy a down mummy bag under 2lbs in a temp you are comfortable with likely between 0C and -7C, and spend some money. Consider volume equally as important as weight. Don't worry, we can get a compression sack to shrink it down further but that will be a separate post. Now go out and start shopping for your bag! !